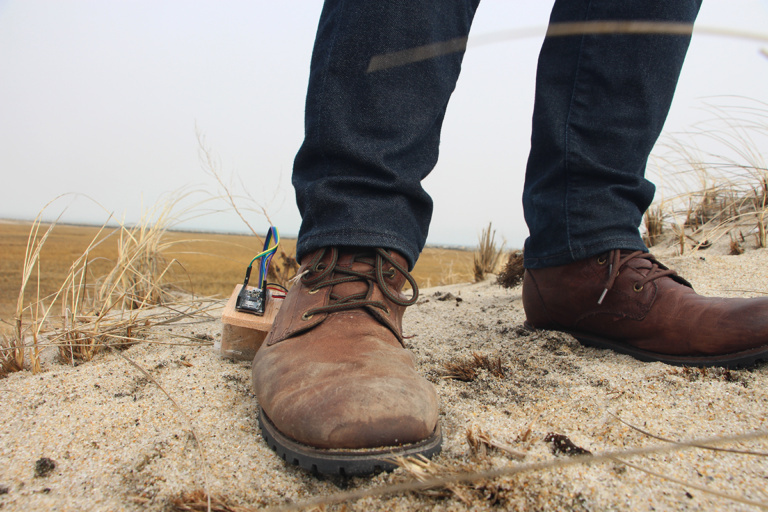 What Happens When You Record the Color of Your Footsteps #WearableWednesday #wearabletech #Arduino #art #tech « Adafruit Industries – Makers, hackers, artists, designers and engineers! An affirmation: Landscapes are portable. His project Lighthouse combines footprint with colorspace and memory. An Arduino data-logger and color sensor are mounted in a wooden block attached to a boot called Memorandum for Walking (Chroma). The color of the ground is captured and played back through a wooden box of LEDs that projects color onto a wall in real-time. It’s a curious way to discover a place through color, especially considering most people focus on what they see at eye level. What I like most about this work is the combination of natural materials with tech, reminding me of the work done by MIT’s research group High-Low Tech. This is also the most inventive use of color capture that I’ve seen. 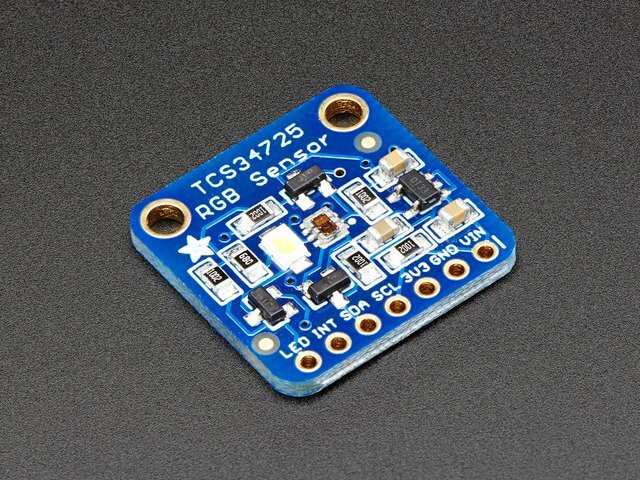 If you would like to incorporate color sensing into your next project, take a look at our learning guide for these sensors. 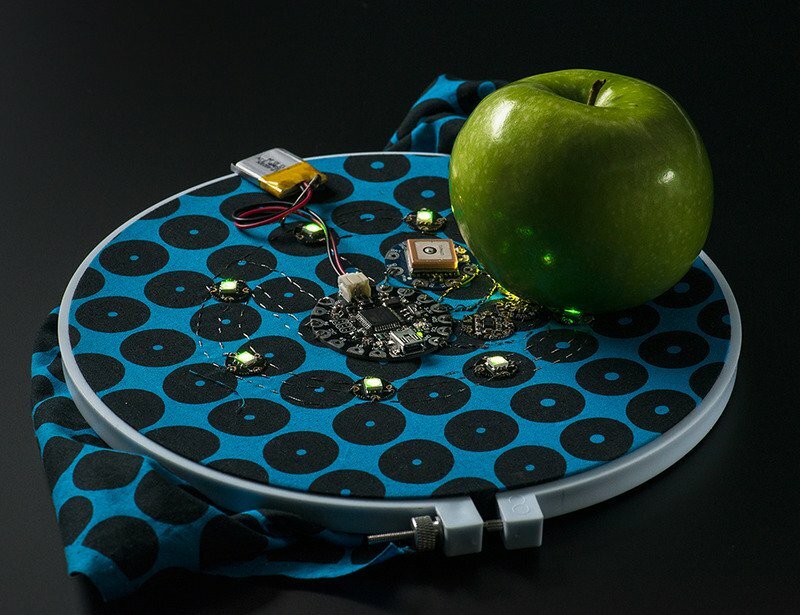 Whether you work in wearables or art, you can create a project that collects data and even reacts to color. What will you do with color?